Based in Toronto, flutist Dianne Aitken maintains a balance between her professional and family life. Active as a soloist, chamber and session/orchestral player in Canada, Europe, China and the US, Ms. Aitken is also recognized for her teaching, arranging, composing, curating and curriculum development. 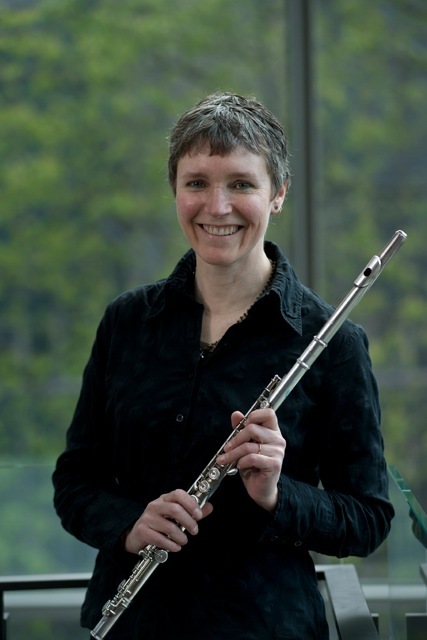 A Certified Teacher, Ms. Aitken is currently on Flute Faculty at The Royal Conservatory, the RC Band Enrichment Program, Department Coordinator of the RCS Woodwind, Brass and Percussion Department, and Senior Examiner/Curriculum Developer (RC Examinations). She is also former Chair/Member, National Flute Association’s New Music Advisory. Her publications include the 2010 Overtones Flute Series/RC Flute Syllabi and assistance in Hiroshi Koizumi’s Technique for Contemporary Flute Music (Schott ‘96).